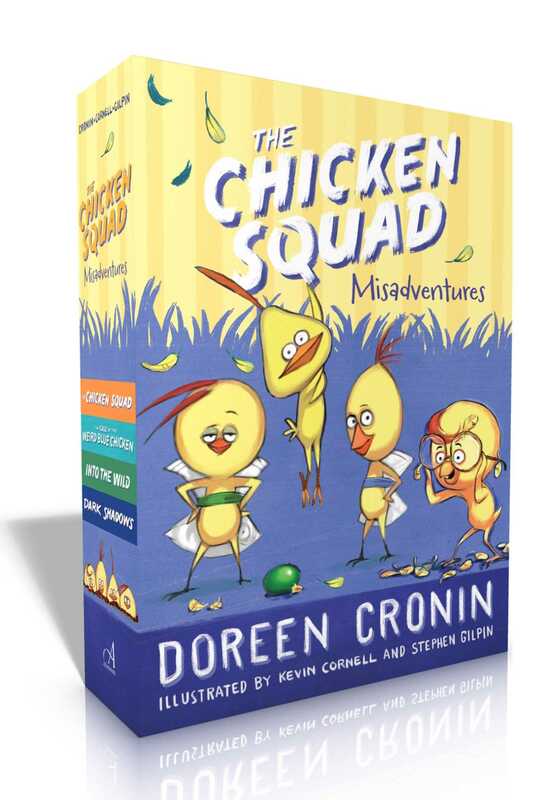 Join the Chicken Squad for their many (mis)adventures with the first four chapter books in the hilarious series that has been called “lip-bitingly funny” (School Library Journal) by the bestselling author of Click, Clack, Moo and Diary of a Worm. Dirt, Sweetie, Poppy, and Sugar might be chicks, but they sure aren’t chicken. They’re the Chicken Squad, the barnyard’s best crime fighters. And these chicks are not your typical barnyard puffs of fluff, oh no! They’ve taken on UFOs, led the search for a kidnapped house, traveled deep into the wild, and confronted a mysterious, shoe-napping shadow. Fueled by bravery and jelly beans, no mystery is too big or too small for the Chicken Squad (at least THEY don’t think so).